I love how unexpected this cover is. When I think of Lil Wayne, all I think of is gold grills and the bling-bling lifestyle, not a throwback to the 90's hit show 'Friends'. I loved watching the series and laughing along to Chandler, Monica, Ross, Rachel, Phoebe, and Joey. I recently saw a picture of them on the TV and cannot believe how much they've aged - gracefully, of course! 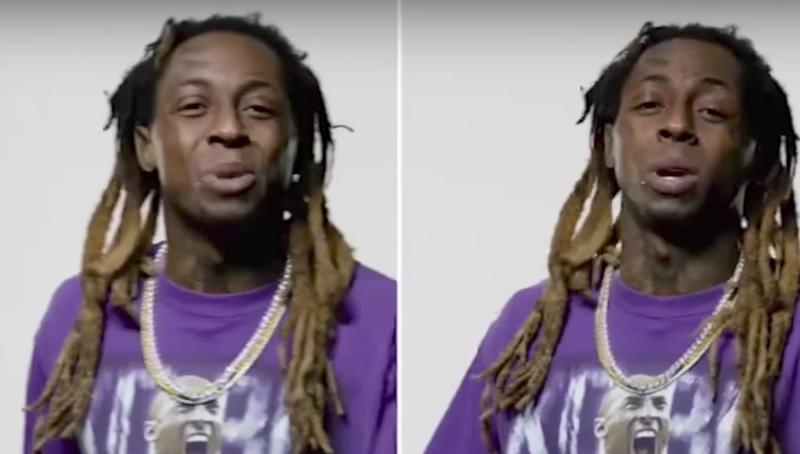 Lil Wayne thought that he would poke fun at the lack of skills his favourite football team recently showed and decided to change up the words of the iconic tune to match how he felt about them. I don't know about you, but for me, this weird cover should be filed under 'I didn't see this coming'. If rap doesn't work out for Lil Wayne, he sure does have a career in covering show tunes.